Aimed at those seeking an affordable multifunction device with a scanner and copier, the HP PSC 1315s is a fairly fast and efficient printer for personal use. It is compact and supports direct printing, and is integrated with proven HP technology to satisfy small office settings, but its overall printing and scanning performance remains sub-par. Integrated with the ink-jet colour printing technology, the HP PSC 1315s is an average multifunction device. It is quite compact at 16.8 inches wide, 10.2 inches in diameter, and 6.7 inches tall. It is also a little lighter than similar multifunction printers at 10.4 lbs. The HP PSC 1315s has a 16MB standard memory, which is right for its size and capabilities. The scanner's resolution can be enhanced to 19200x19200 dpi. 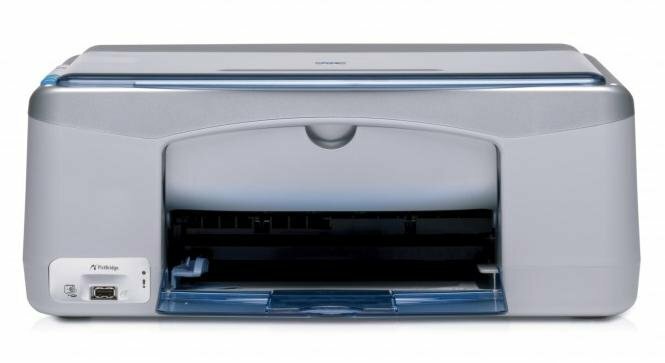 PictBridge lets you print directly from your digital camera using the HP PSC 1315s so you save time and effort from actually having to transfer pictures to your computer. The copier and scanner make it a very convenient device for an office and for users seeking a multifunction device for their home. It is rather affordable, too. Compared to similar all-in-one printers by HP, the HP PSC 1315s is faster, printing at a rate of 17 ppm in monochrome and 12 ppm in colour. Unlike other flatbed scanners, it can already accommodate books and thicker materials. Pictures do not come out as they appear on your camera or computer. There are visible lines and the quality is not true-to-life at all. It also lacks an ADF and a fax modem, limiting its office capabilities. Some of the software packages included in the HP PSC 1315s are unnecessary and sub par when compared to advanced image processing and editing programs.